The Rev. Nicholas Hood II in a photo while running for a council seat in 1965. The Rev. Nicholas Hood Sr., a prominent civil rights leader, minister and long-time Detroit City councilman, died Sunday. 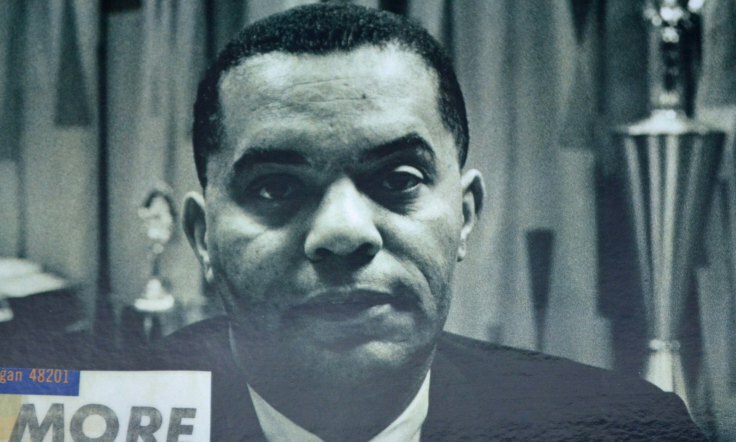 Hood was elected to the Detroit City Council in 1965, becoming the second African American to win a seat on the board. He held the position until his retirement in 1993. Before joining the council, Hood was a trailblazing civil rights leader and admirer of Martin Luther King, Jr. Hood was one of the founders of the Southern Christian Leadership Conference, and beginning in 1958, he became the senior minister of Plymouth Congregational United Church of Detroit. When the city planned to raze his church and other black churches to make way for the Detroit Medical Center, Hood organized a group of affected ministers in a last-ditch effort to stop the demolition. When the city ignored him, he helped elect a new mayor, Jerome Cavanagh, to halt the demolition. His efforts were largely successful. Through his church in the early 1960s, Hood began leading efforts to create more housing for residents of diverse economic backgrounds. He also helped open a senior housing high-rise and the nonprofit Cyprian Center for people with developmental issues. Hood was born in Indiana on June 21, 1923. While at Purdue University, he volunteered at churches and abandoned his dream of becoming a physician so he could help bridge racial divisions. After graduating in 1945, he became the first African American student to attend North Central College in Illinois. In 1946, Hood attended Yale University Divinity School and graduated in 1949 and was ordained a minister. Hood moved to New Orleans for eight years, working on civil rights issues, for which he was later honored by Yale University.